The job market can be tough. Ready to standout from the crowd? 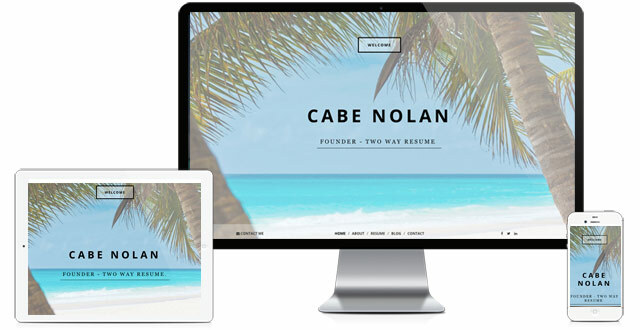 Create your personal brand & own your online presence. 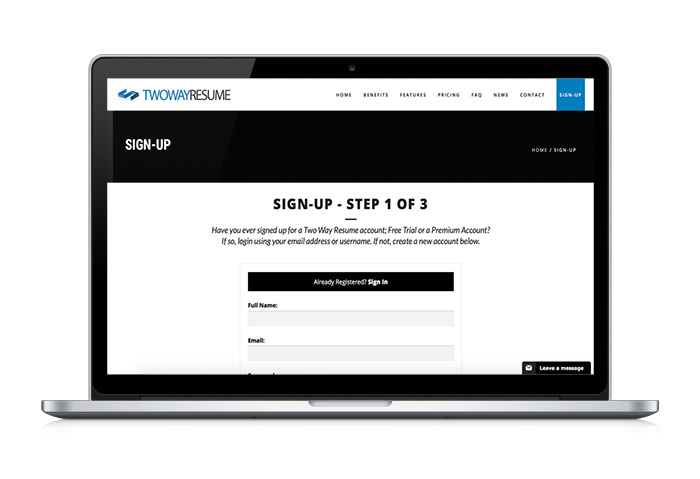 Two Way Resume was originally developed BY college students FOR college students and we've never lost sight of that. Let's face it, college was fun, but there's no reason you should be dreading the job market. Conquer it like you did college with a personal resume and portfolio website. Set yourself apart from your peers, land your dream job and start your new career off on the right foot. At a price of pennies a day, we've made it possible for the struggling college student to own your own piece of the internet (that is not social media). Graduation coming up? Or maybe you've already graduated and ready to enter the working world? Either way, it's time to claim your domain name and your spot on the internet! Two Way Resume is the all in one solution. We provide you with an instant setup process that includes your own custom domain name, yourname.com. This will lock in your place on the internet forever! You want something modern. 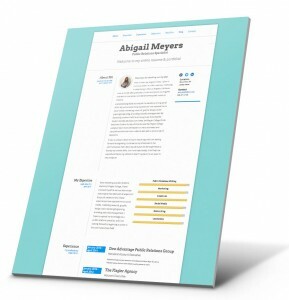 Forget the old school resume sites that have been around for 15 years and still pumping out the same boring templates. You need something clean, something unique, and something that's going to make those recruiters say "WOW". 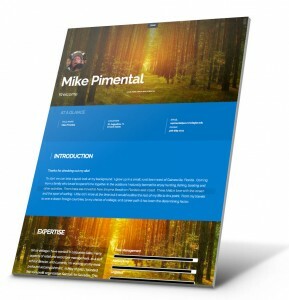 Design a beautiful site on Two Way Resume with our professional themes. Just add your information, and our platform does the rest. Are you taking your job hunt on foot? Or do you need to submit a PDF version of your resume to a job application? 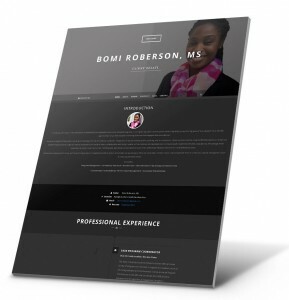 With one click of a button export your Two Way Resume website to a PDF version and download it to your computer. 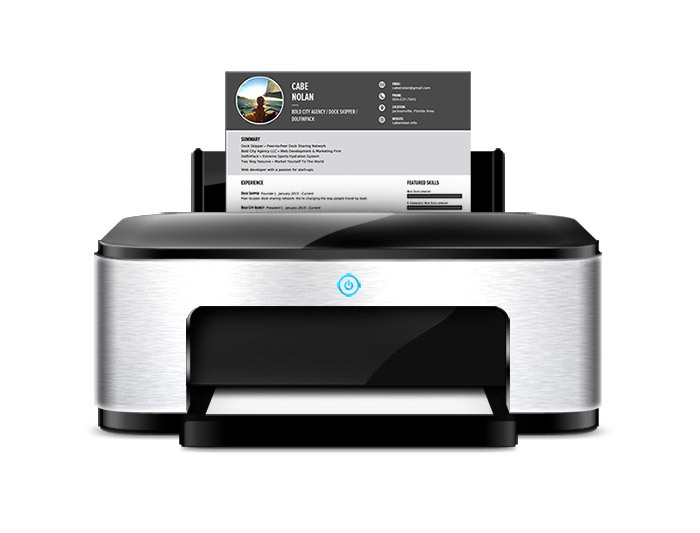 With multiple templates to choose from and endless color combinations you will look just as great on paper as your do on the internet. You don't have time to spend hours a day on your website, you have a new career and life to start! Our control panel makes it easy. 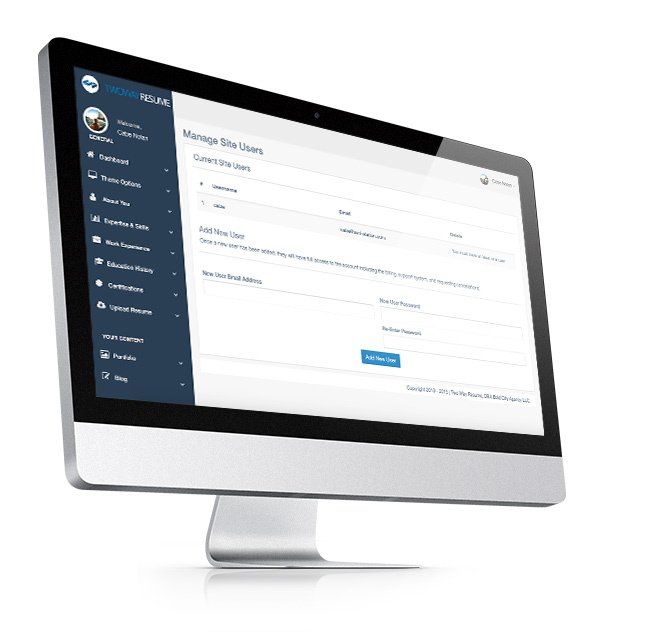 Control you're entire website with a few clicks of a button. Don't spend unnecessary time using those drag and drop visual editors. 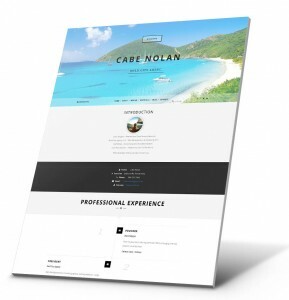 Our system is simple, add your information, select your theme, and view your beautiful personal resume and portfolio website.